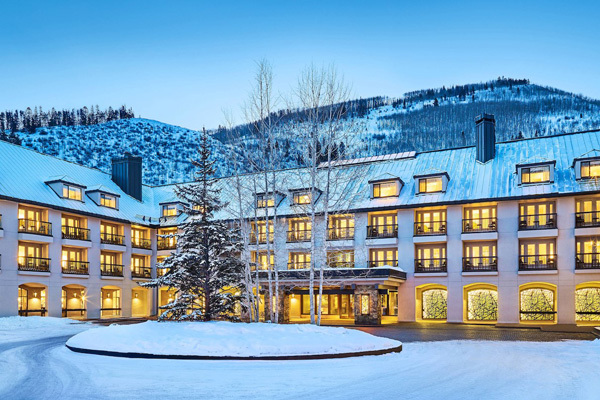 The Luxury Collection, part of Marriott International, has added Hotel Talisa, a top luxury ski resort in Vail, to its growing portfolio of diverse hotels. Hotel Talisa offers sleek sophistication in an idyllic setting, with interior design by Leo A Daly, reflecting Vail’s rich history and the spirit of Rocky Mountain adventure. A hidden gem nestled in the heart of Colorado’s rugged Gore Mountain Range, Hotel Talisa is designed to feel like a private oasis from the outside world. With a creekside setting ideal for active and meditative guest experiences, the luxury ski-in/ski-out resort offers an on-property chairlift, on-site rentals and ticket office, and a world-class ski concierge. Vail Hotel Partners, a private real estate investment firm, has invested over $65 million in renovating and rebranding the hotel. Formerly known as the Vail Cascade Resort and Spa, the 285-room property will reposition as Vail’s newest luxury Resort. Hotel Talisa remains under the management of Two Roads Hospitality, the largest owner and operator of independent hotels, resorts and residences in the United States. Beyond the refined alpine influences to the room decor, the resort’s luxurious accommodations acknowledge guests outdoor-centric activities with benches and gear storage as well as amenities ranging from soaking tubs for tired muscles to day beds to invite additional guests over to mingle after a day of skiing. Suites at Hotel Talisa are ideal for reliving the day’s escapades with friends and family as each suite’s parlour is distinguished by a seating area and a 46-inch flat-screen TV, and the luxurious bathrooms feature an impressive oversized-glass rainfall shower, and select suites also include a freestanding soaker tub. In addition to downhill and cross-country skiing and snowboarding, guests of Hotel Talisa can take part in a wide array of year-round activities including mountain biking, kayaking, hiking, snowmobiling, snowshoeing and more. Hotel Talisa also features a variety of rarified, personalised amenities and programming including a Gourmet S’mores Butler, complimentary après-ski beauty sessions, a bespoke pillow menu and more. A unique and cherished expression of its location, The Luxury Collection’s Hotel Talisa offers three culinary venues, each sourcing ingredients from local Colorado ranchers and farmers. Gessner, the hotel’s full-service restaurant, features cuisine inspired by the Colorado Rockies as well as Vail’s roots in European culture with globally-inspired flavours and dishes from those countries bordering the Alps. Specialty menu items include Mussel & Foraged Mushrooms, Colorado Rack of Lamb, Black Truffle Tagliatelle Pasta and Duck Confit. At the centre of the property, The Fireside Lounge draws in visitors and guests to enjoy the property’s “Après Everyday,” year-round. With inventive avant and après-adventure libations, including a decadent hot chocolate bar, daily champagne sabering and tasting as well as après favourites like Bison Chili and Lobster Crostini, guests can enjoy afternoon cocktails and snacks while listening to live music overlooking Gore Creek and Vail Mountain. The Market offers guests specialty gourmet provisions and beverages perfect for an early morning start or a mid-afternoon treat. • Coffee and Casting on the Gore – Set on the Creekside lawn overlooking Gore Creek’s Gold Medal Waters, complimentary weekly fly fishing demonstration with local anglers from Vail Valley Anglers. Guests will learn the basics about the Valley’s fly fishing offerings and can reserve guided excursions to take their practice on the water – by boat, hiking or biking to scenic fly-fishing waters. • Morning Yoga on the Gore – Enjoy the serenity of Gore Creek and surrounding mountain landscape with a complimentary morning yoga session on Creekside lawn. • Moët Flutes & Frites – A weekly tradition quickly becoming a favourite for hotel guests and Vail visitors. This custom offering is an opportunity to enjoy beautifully presented glasses of Moët champagne with house made pommes frites. • Saturday Poolside Soirees – Featuring BBQ, live music and beverages from 12 – 3pm, the perfect gathering place for families and friends. • Sunday Brunch with Live Entertainment – Available every Sunday at Gessner. • Bubble and Bites – Guests can begin their weekends poolside every Friday with Moët champagne specials, delicious bites and live music from 4 – 7pm.